Ceramic grills are all the rage these days and for good reason. They give users the ability to grill, smoke, roast, and bake without the need for more than one cooker. Prices range from a few hundred dollars for the very low-end models to over $1,500 for a premier unit. Primo 200 is a premier unit and for good reason. 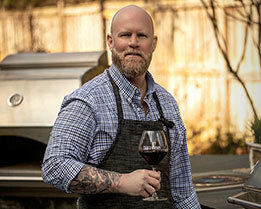 It is a high-quality build and is the only ceramic grill made in the USA with their headquarters in Tucker, GA. I was lucky enough to be invited to the factory to tour the facility and see the grill made from start to finish. It is an impressive operation, employing American workers with a focus on quality and customer satisfaction. This grill, like others in the premier category, comes in various sizes but what sets Primo apart from the competition is their patented oval shape. No other cooker can offer that, and that shape brings with it countless benefits that simply can’t be achieved by a traditional round grill. *Specs taken from Primo Grills website. The biggest draw for me, and many others, is obvious: The shape. 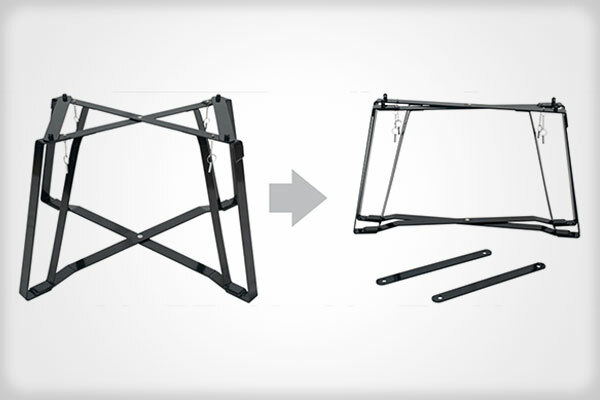 I covered the benefits of the shape in my review of the extra-large version of this grill, so I won’t go over that in detail again. In short, the oval shape allows appropriate space inside the firebox to position coals on one side of the box leaving the opposite side void of a heat source in order to create two distinct zones of heat which is imperative to most cooking. I want to emphasize distinct because a mild temperature difference from side to side can be achieved in most any shape grill, but the oval shape allows for a greater degree of difference between the two sides, making it perfect for searing a steak over screaming heat on one side while grilling veggies at a lower temp on the other. Like the larger sizes of this grill, I also love the handle. It’s size and shape make it easy for hands of any size and to manipulate the lid from any angle. 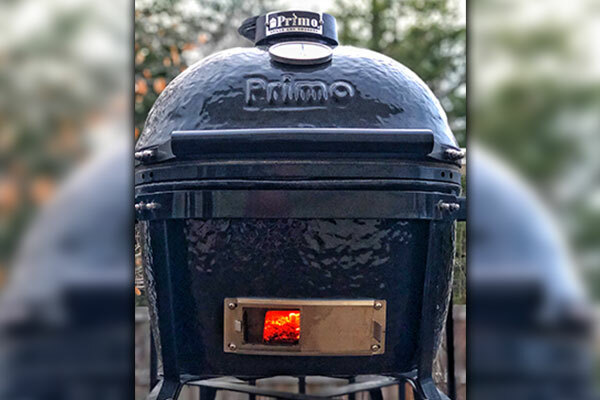 Aside from the shape, what I love about the Primo 200 is the responsiveness to temperature adjustments, the portability with the “GO cradle”, and the surprisingly large cooking area for a “portable” grill. For a family of 4 this really could serve as the everyday grill as well as that grill they can throw in the back of the SUV and take to the beach. One of the knocks on ceramic grills is the time it takes them to heat up. Once they are at temperature, they hold heat amazingly well and aren’t subject to the temperature fluctuations often associated with weather, but getting to that temperature isn’t always done quickly. The reasons for this are beyond the scope of this review but suffice it to say it’s a byproduct of how efficiently they operate. Further, temperature adjustments (especially decreases in temperature) are remarkably slow. This is not the case with the Primo 200, its size makes it very nimble in terms of heating up, cooling down, and reaction to user inputs. 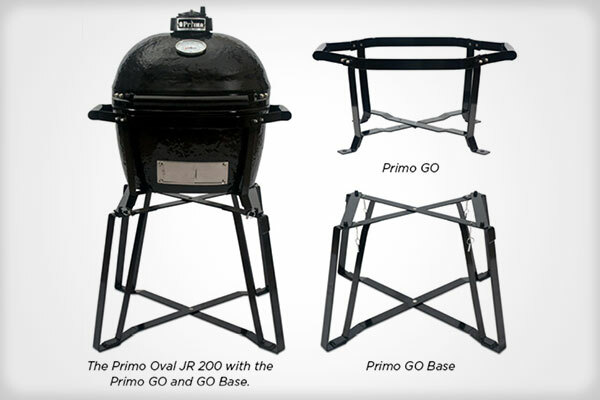 I love the “GO” system Primo has designed for this grill. Pull a few pins and the whole thing is broken down and ready for the road. I do a lot of tailgating at various sporting events and this portability makes it perfect for that use. Like its bigger siblings, the oval shape makes for more usable cooking space. Other cookers perhaps offer more overall grill space, but their round shape isn’t efficient, making plenty of the overall space unusable. With the oval design, that space is maximized with much more overall space being usable. There isn’t much to be improved on the Primo 200. That said, I am not a fan of the daisy wheel style top vent. I have never been a fan of this design despite its popularity within the ceramic grill fleet. I just don’t see it as very practical and the adjustments needed after opening the lid are aggravating. This is a cooker designed for a smaller group, (less than 8 people) and those on the go. It’s perfect for everyday grilling but excels for those wanting kamado-style cooking at the camp site, a trip to the beach, or tailgating for the big game. Overall, this cooker is a gem. It would be hard not to include this grill on the short list for the “If you could only have one grill…” question. The price point, robustness for everyday cooking, usable space, and portability are options not available elsewhere.